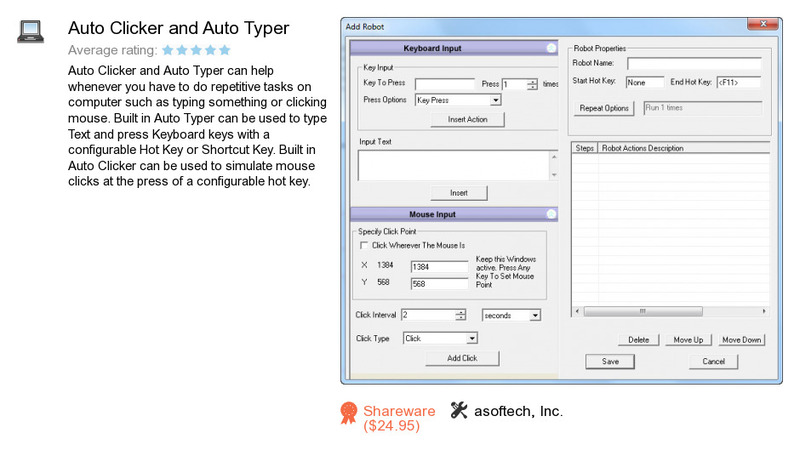 Auto Clicker and Auto Typer is a software product developed by asoftech, Inc.. We know of version 1.0. Version 1.0 is available for download at our site. Auto Clicker and Auto Typer distributive has a size of 2,424,887 bytes. Asoftech, Inc. also publishes Asoftech Automation and Auto Typer Asoftech.